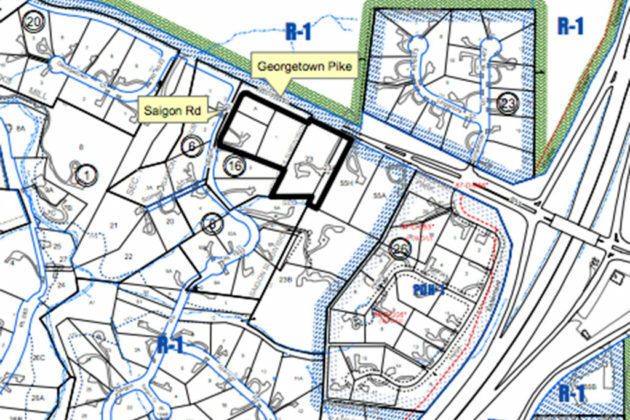 (Updated at 12:45 p.m.) A new five-house cluster subdivision is set to be built at 7327 Georgetown Pike, just south of Scott’s Run Nature Preserve, after the project’s approval at the Fairfax County Board of Supervisors yesterday (Wednesday). Whether a new trail planned for the site will go forward is still up in the air. The project includes 1.45 acres of open space along Georgetown Pike, providing a buffer between the homes and the busy street. 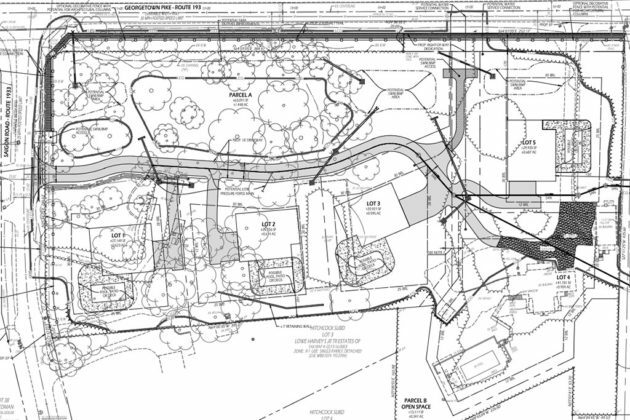 But what had many at the meeting concerned was a six-foot-wide paved trail planned through this open space. Attorney Keith Martin, representing applicant Peter Fitzgerald Jr., said neighbors feared the addition of a trail would add to the problem of people parking along Georgetown Pike to access Scott’s Run. Dranesville Supervisor John Foust confirmed that residents he met with had shared those concerns. Foust said construction of the trail would be postponed until either the parking problem could be worked out or the trail could be connected to a broader network. But the postponing of the trail spurred a brief but tense standoff between Martin and Foust. “If the trail never gets built, does my client get the money back?” Martin asked. The development was unanimously approved, but not before Chairman Sharon Bulova double checked with Martin that the proffer terms were agreed to.